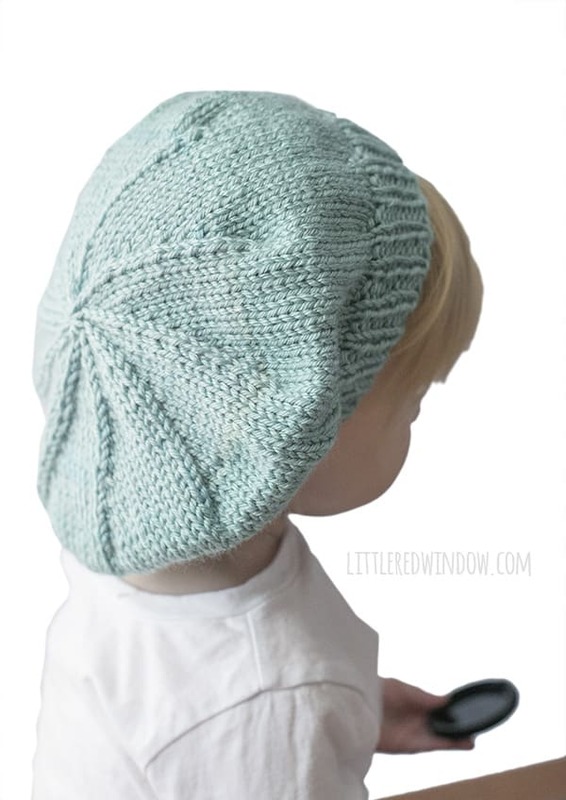 This cute slouchy baby hat knitting pattern is a quick and easy knit and looks so cute on any little one from newborn to baby to toddler! 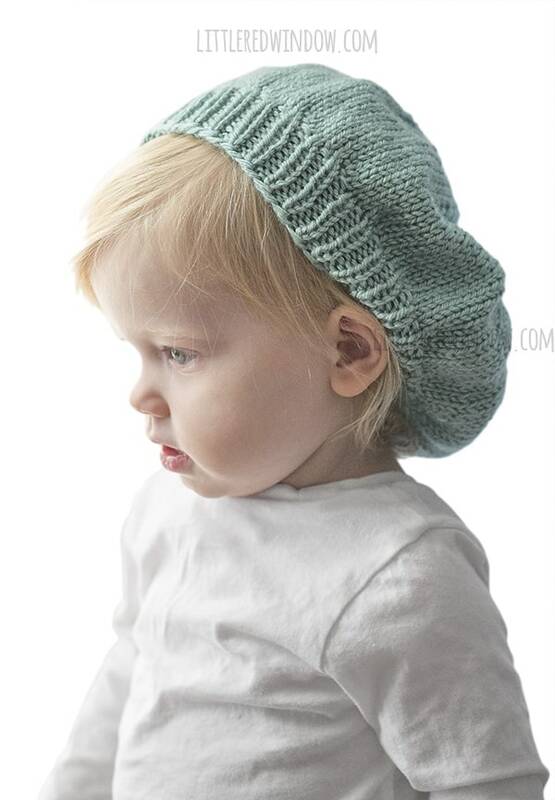 Ok, you guys, this slouchy baby hat is basically the cutest thing ever. I knew, going in what shape I wanted this cute slouchy baby hat to be, but the first time I put it on Baby V, on top of her head like a traditional beret we all started cracking up. 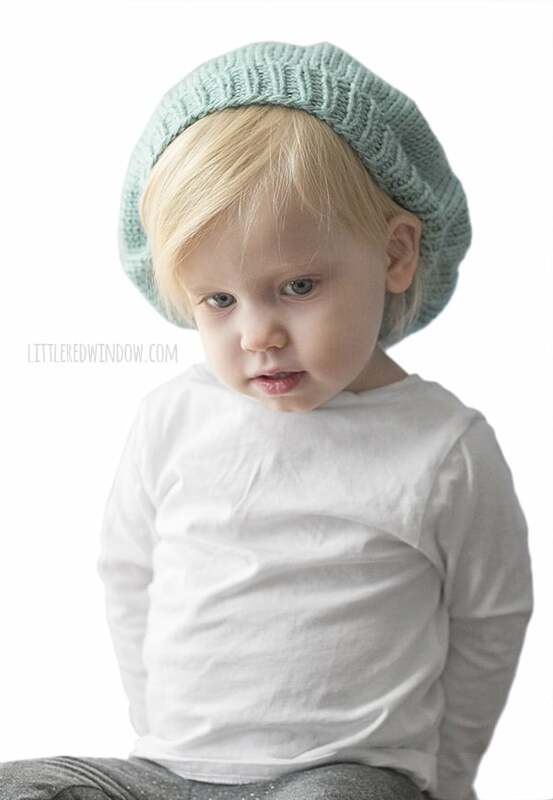 So be aware, this hat looks best worn towards the back of the head in a slouchy way like Baby V has it on in the photos. Otherwise, as O pointed out, she looked a little bit like a chef. Ha! Of course, if chef is what you’re going for, then wear it that way! Also, I did want to mention, because it’s a slouchy baby hat worn towards the back of the head, it runs a tad larger than my normal hats so if you’re in doubt, size down. It’s plenty stretchy but you don’t want it to be too big or it won’t stay on! 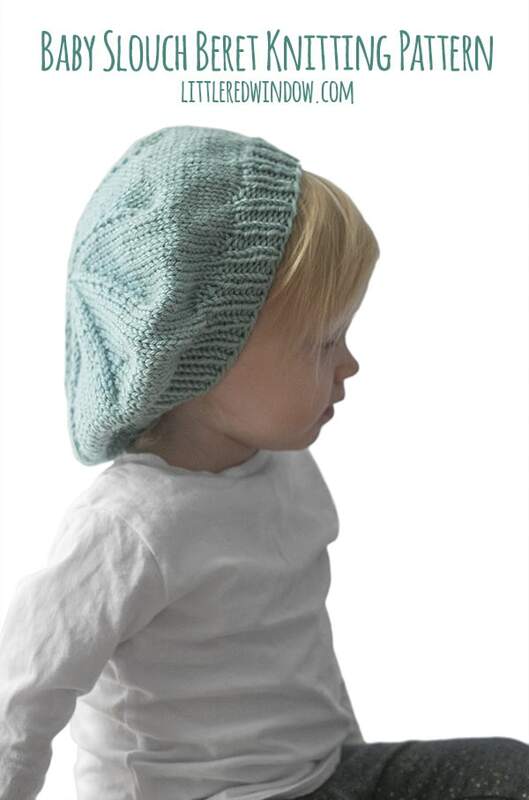 I love love love how the slouchy baby hat looks from the back/top too! Look at that gorgeousness! Using long-tail cast on, cast on 72 stitches onto your circular needles. Join to knit in the round and k1, p1 in a rib stitch for 1.5 inches. Knit all stitches until the beret is 4 1/2 inches long. Hi, when you say knit until 4 1/2”, does it include the ribbing as well? Also, I’ve increased the number of stitches for a custom fit but spread out over four needles. Will it affect the decrease rounds. Yes, it includes the ribbing. And no, you can use any number of needles you want, you might want to position the stitches to be divided between repeats to make it easier to keep track, but otherwise it doesn’t matter. Hope that helps! Any chance you have this pattern available in adult sizes? It is too cute! 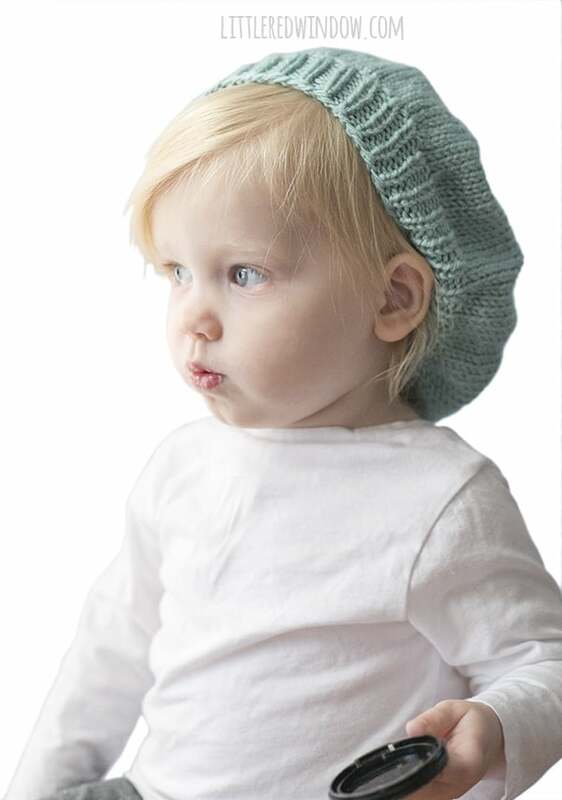 Your Slouchy Baby Hat Pattern is really delightful, thank you. Your young model is showing it very nicely, I have noticed her growing up over the last twelve months or more, not quite so shy now !! !